The best thing about a queer event in Mumbai — whether Dirty Talk or the Kashish inauguration or any of Sushant Divgikar’s dos — is that the discussion is uncensored and no one's taking a moral 'high ground'. People attending Mumbai’s queer events are uninhibited. Anyway, back to Kashish — I had the pleasure of meeting the hosts of the evening, Sushant Divgikar and Malishka, on the red carpet. Both of them were in drag and unidentifiable as themselves! I've known Sushant Divgikar for the past five years, and can vouch that that he is an event by himself! He creates a kind of wave around him, of positivity — coupled with sarcasm and dollops of empathy — rarely found in today’s times. Malishka, the popular RJ and actor, was his co-host, and ensured she played the perfect straight ally and allowed Sushant to take digs at her, whenever there was a bland moment in the script. Representatives from different supportive corporate houses were present in large numbers but among all the videshi brands, it was heartening to see two shuddh desi companies — Godrej and VIP — as the principal sponsors of the event (IBM, the Canadian Embassy and Whistling Woods International were supporting partners). Nisaba Godrej, among the most powerful businesswomen in the country at this moment, with her having stepped into a leading role at Godrej Industries, was present at the event — just as down-to-earth as she always is. Radhika Piramal is one of the only LGBTIQ persons from the corporate world who has dared to come out. She has joined us at pride marches and events. Truly, when someone at that level decides to come out, they become trailblazers for all things revolutionary. On the performances front, the best thing was an Odissi dance set to a Marathi song. Another remarkable dance performance was by three gay men who call themselves “High Heel Hotties”; they wore fluorescent stilettos and twerked their way through the audience. 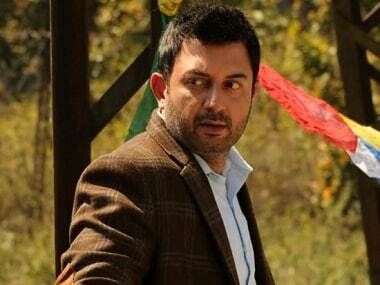 Coming to the films, there will be 147 — from 45 countries — that will be showcased at Kashish. One of the films that I am eagerly looking forward to is Sisak, which happens to be India’s first silent LGBTIQ film. I am biased towards this film, because it also stars Jitin Gulati, who was cast in my biopic, Amen. 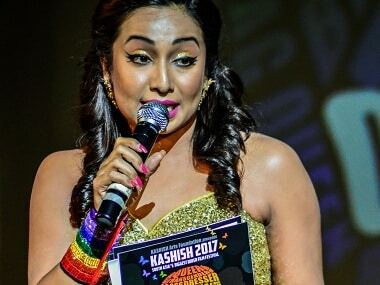 At Kashish this year, the country in focus is Britain, where it's been 50 years since the partial decriminalisation of homosexuality. The Sexual Offenses Act that was introduced in July 1967, decriminalised private homosexual acts between men over the age of 21, in England and Wales. Sharon Memesis from the British Council spoke at length about Britan’s commitment to the cause. This was followed by a stand-up act by Nick and Navin who took a dig at Britain for giving us Section 377. Similarly, Nik and Navin’s comic act was interrupted by the main guest of the event — actor Arjun Kapoor. Arjun, for whom Nik and Navin had to interrupt their act, received an apology from the actor as a part of his straight-from-the-heart speech. Similarly, Parmesh Shahani of Godrej took at dig at foreign corporates by stating that while others make an effort to be inclusive, Godrej has taken the giant leap by including the rainbow in its logo itself. I could see Ritesh Rajani of IBM enjoying Parmesh’s friendly banter. Everyone took the jokes in their stride and laughed along. While everything was hunky dory at Kashish, it lacked the usual community feeling, that an organisation like Humsafar Trust ushers in. 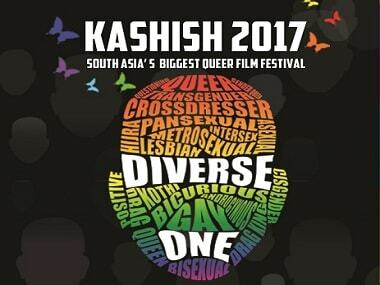 However, this also means the spotlight would be firmly on the queer films — Kashish will more seriously and primarily be seen as a socially conscious film festival rather than one of the tools for community mobilisation and advocacy. The best part of the opening night was a statement by Shonali Bose, the director of Margarita With A Straw and Ammu, who told the audience that it's been 30 years that she came out as bisexual. She spoke about the biphobia that is prevalent in the gay community. She also called for greater empathy with other human rights violations on the basis of caste, class, religion and gender.